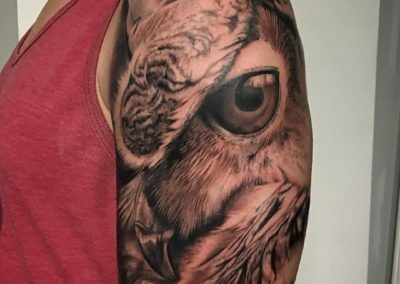 Seven Beckham is based in Edmonton Alberta and an award winning tattoo artist considered to be among the best at photo realism, detail, nature, animal and portrait. A few things you need to know about how I work, my philosophy, and about the clients that I am suited best for. I am a premium brand. I am not suited for anyone looking for tattoos with a budget mindset. Many tattoo studios fall victim to several risk factors that can compromise your safety if unchecked. I use 100% disposable products, and bio-friendly surface disinfectants, which means no risk of faulty sterilizers, particulates from ultrasonics or carcinogenic chemicals. My mission is to offer you, my client, an elite tattoo experience. The studio is your home while you are there. I am absolutely not the artist who will be inexpensive, what I do is extreme and will cost in proportion to the extremes you challenge me to. Please don’t ask me to quote you a final amount or how long it will take, I care only about quality. There are too many variables. I focus on getting my tattoos to look as realistic as possible, solid, tight and detailed. I book by the day NOT by the hour, except for minor touch-ups. One of the benefits to doing ultra detailed tattoos is that I do not pound the ink in, I finesse it, in and as a result is far less painful than many tattoo styles, I often have clients fall asleep!! Once you lose a deposit you will be asked to bring in a new one before we continue, I may ask for a full day rate payed in advance if I feel you are a risk to my schedule. Deposit will be given back to you ONLY after I’ve approved the final healed piece. 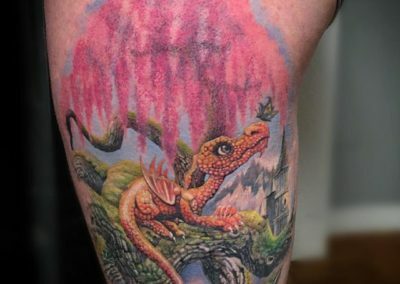 Rarely does a realistic tattoo take less than 5-6 hours minimum, unless really small, so I always book by the day. It’s Usually a month or two wait to start a new client after deposit is received. I only book my schedule in 2 month chunks. 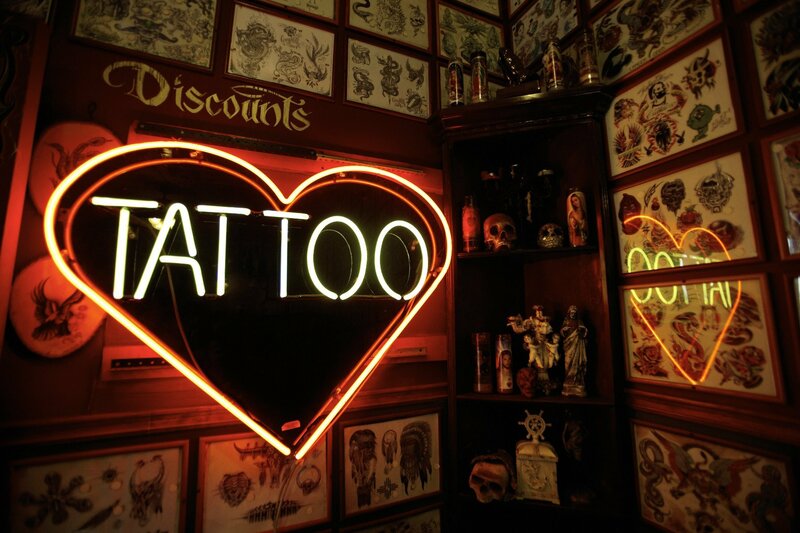 Many tattoo studios fall victim to several risk factors that can compromise your safety if unchecked. I use 100% disposable products, and bio-friendly surface disinfectants, which means no risk of faulty sterilizers, particulates from ultrasonics or carcinogenic chemicals. mission is to offer you, my client, an elite tattoo experience. The studio is yours home while you are there. Overall I have been extremely happy with everything he has done for me… and my wife!! I have a black and grey sleeve and she has a full colour back piece… All I can say is AWESOME!!! 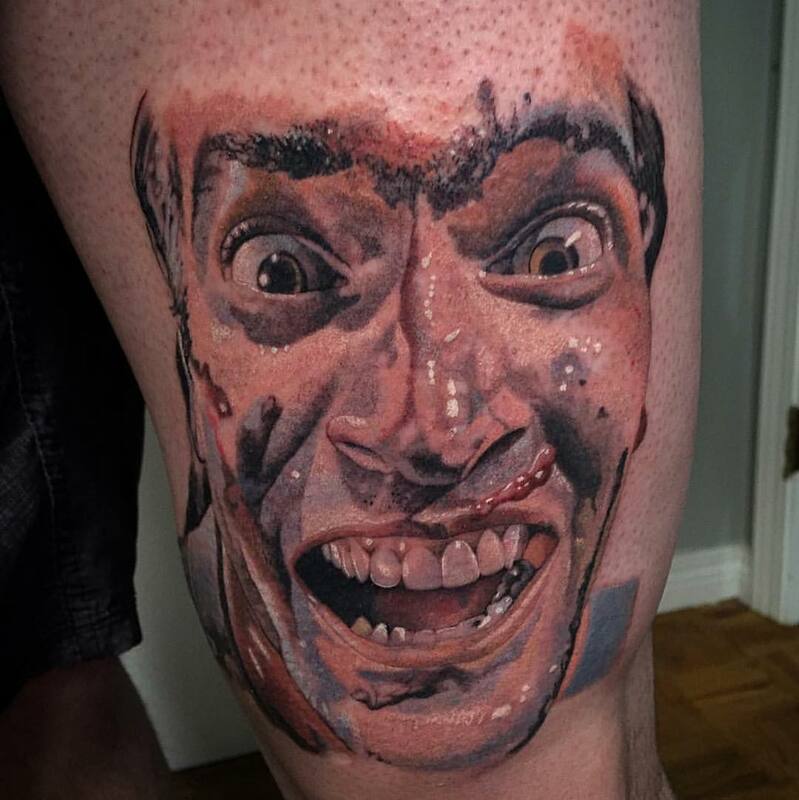 As a person asked for a tattoo at the age of seven, body art has always intrigued me. Finding an artist who can imagine and recreate your vision is a task indeed. “January 2013 my life was forever ‘marked’ by the skilled hands and warm heart of Se7en Beckham. An inspirational photo that lay dormant was awakened and now I proudly share it with the world. I was diagnosed with Multiple Sclerosis in 2000. The symptoms I experienced led me to believe that my dream of having ink was impossible. Se7en was absolutely fantastic to catering to my unique situation. I was not the ideal client due to my spastic legs. Thnx to Se7en’s incredible talent & ability to work around my MS, my dream became possible…:) His willingness to go above and beyond the already elite tattoo experience was great. I walked in a client and out a friend! 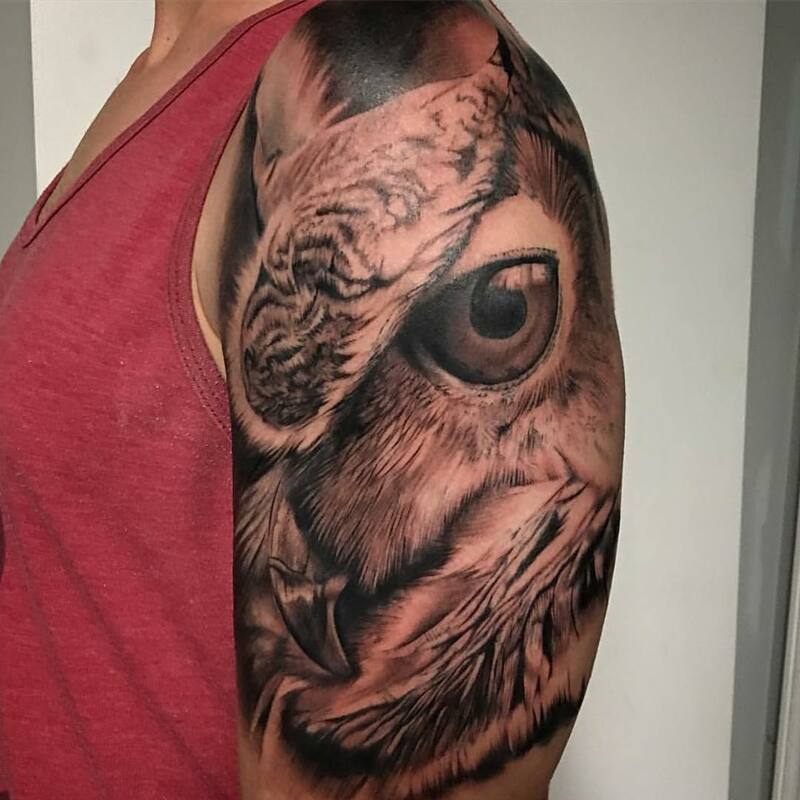 “Seven has done my half sleeve and is currently working on my full sleeve, all of which honor my family. He has expressed my love for them very well in his work.I am constantly approached about my work and happy to say who my artist is. “Seven is extremely talented, he keeps his work area extremely clean and is careful to keep it that way. He’s extremely professional but has a kind of personality that makes six hours go by fast , he’s very focused on detail which make every hour worth it. 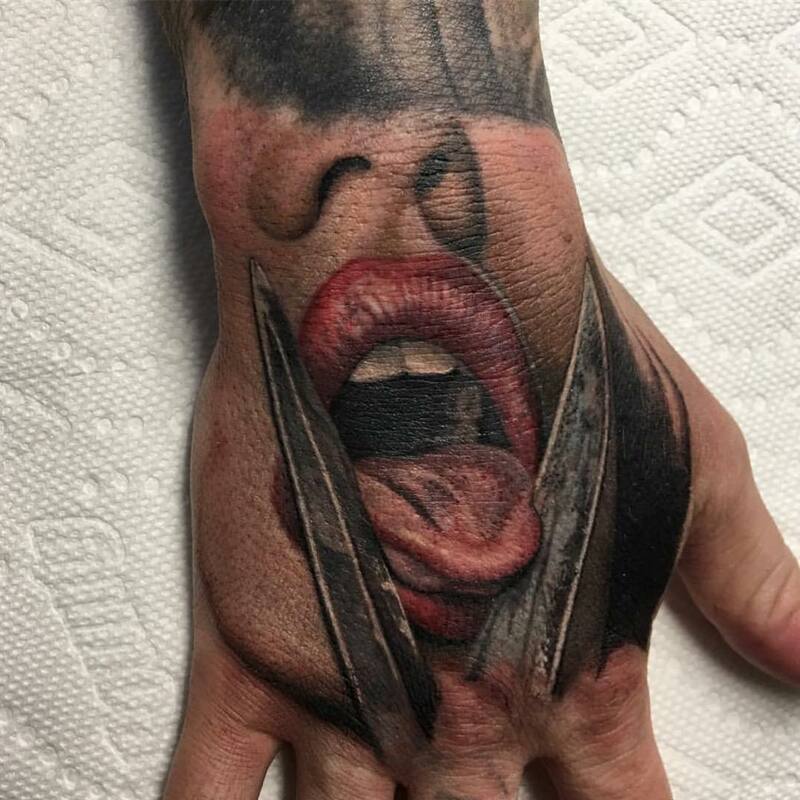 I never thought a tattoo could look so real !! …. He is doing a full back piece and has covered a birthmark, scars and a old tattoo he has given me confidence that I didn’t ever think was possible because of my skin condition. He has exceeded my expectations and his level of work is absolutely amazing. 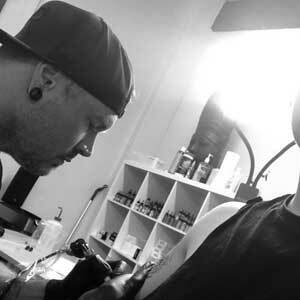 “I have known Seven for quite a few years…… Ever since my first tattoo! :). I still remember that first appointment, before he had his own business, and I already knew that any future pieces would need to be done by him! Since then I think I’ve actually lost count of how many times I’ve been to his studio! For me, I definitely prefer the experience I get with Seven, as compared to what other people describe for their tattoo experiences. I love that it’s private and a more casual atmosphere. The studio kind of has that comfort of home feeling, yet it’s clean and professional. I definitely have never felt like ” just another appointment”, for me, it’s like hanging out with a friend all day while getting amazing artwork!! I find the appointments to always be a lot a fun and relaxing, either watching movies or listening to some music and a lot of good conversation :). As for my artwork……. I am continually blown away by Sevens creativity and talent! The pieces I have are amazing and I receive so many compliments when I have them out to shine!! “I sent my initial email to Seven and received a reply within a week. We worked on the piece and Incorporated several different ideas, giving it a life of its own. He was flexible and responsive to new ideas. “I am the most discerning, discriminate, yet passionate tattoo “entrepreneur”, that you will find. My body is a canvas… I currently have 80% of my body tattooed, and every single tattoo I have is one I have considered long and hard before selecting an artist to work with. 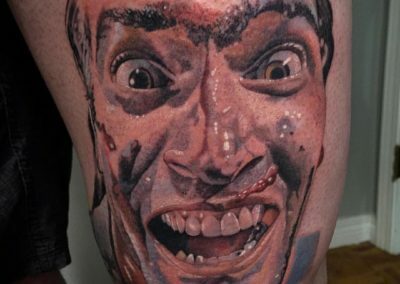 The artistic capability to create the specific style of tattoo I want is of utmost importance. 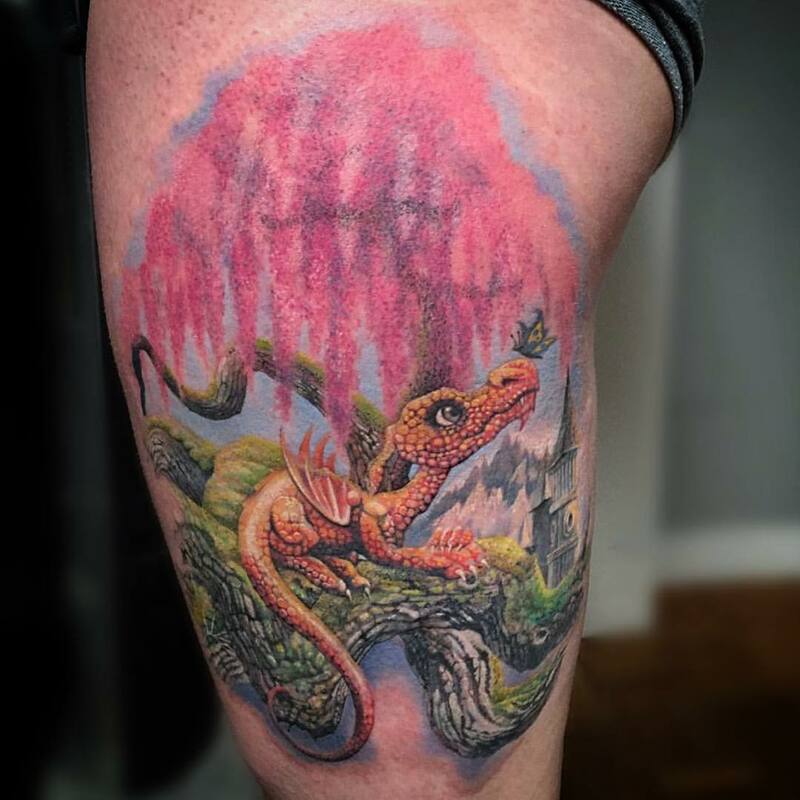 I have work done by some of the well-known and artistically talented tattoo artists in Canada and from around the world, and I am willing to wait to get into an artist that I know does amazing work. When I saw Seven’s work, I had to have a tattoo done by him. I wasn’t sure of what it was even going to be, but it just had to be done by him, and I’ll tell you why. Some tattoo artists do great Japanese art. Some do great portraits. Some do great black and white. Seven Beckham does them all. Not only does he do them all, the quality and caliber of his work is second to none. He is a true artist and can create anything from the most detailed custom design, to something very simple. “My time with Seven has reinforced my belief that amazing art is worth waiting for. Initially I was daunted by the wait time; however, through our initial conversations, I knew that his art and his wit were going to make this experience a memorable one. I gave him some ideas and his brilliant creative mind turned those ideas into a tattoo that has people stopping me on the street. Even when it was just a stencil, people would frequently stop me and now, with it’s vivid colour and detail, I’m frequently stopped. People will compliment me on the work but it is Seven’s attention to detail and beautiful artistry that they are actually complimenting. And they should. “I have nothing but good things to say about Seven Beckham. For anyone who is contemplating getting a tattoo from him, I promise you the wait is well worth it. Seven is ridiculously passionate about what he does and it definitely shows in his work. I had the privilege of having my ribcage tattooed by him in 2012 and could not be more happy with how it turned out. The detail in his work is meticulous and I have had endless compliments from people I know and complete strangers. Do you have additional questions? Feel free to reach out by filling out the contact form below. Please try and be as detailed as possible in order for me to properly format my response. Thanks in advance.